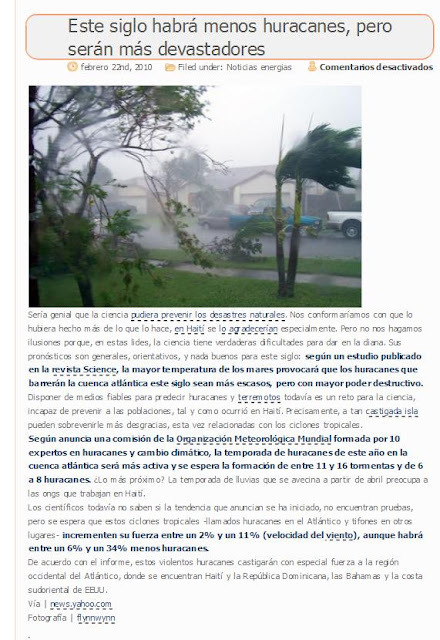 Published on 22 February 2010 on El Nuevo Parquet , an article discussing predictions that there will be fewer hurricanes in the 21st century but that they will be stronger. Google translation link from Spanish to English. The 2005 Atlantic hurricane season was the most active Atlantic hurricane season in recorded history, repeatedly shattering numerous records. Original image shot from my front window right after half time of hurricane Wilma on 24 October 2005.